Never Maximize Land Sales Price. Rather than wait to get top price, do many many mediocre deals during that time. Jack Butala: Welcome to our show today. 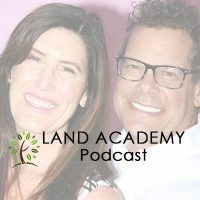 In this episode, Jill and I talk about why it’s never a good idea to maximize your land sales price. What? Jill DeWit: What? Why would I leave money on the table, Jack? That sounds crazy. Jill DeWit: That’s crazy talk. Jack Butala: Before we get into it, let’s take a question posted by one of our members on the LandInvestors.com online community, its free. Jack Butala: Like where do you find it? Jill DeWit: Actually, maybe that’s what she’s asking, that could be it. Where do I go? Jack Butala: There’s a few places on the internet. Jill DeWit: Where do I get this information? Why do I need it? You what, can I make this two parts, Jack? Jill DeWit: I would like to explain why the heck we even want this information, ’cause we all know we don’t just mail back tax properties so, why do I even need this information? And then where do I go to get it? Jack Butala: It’s always a good idea to feel out or test for reason the back tax situation in a given county, like for some reason in northern Utah and Idaho there are no back tax sales ever. It’s been like that since I’ve been in the business in the 90s, I don’t know why. Jill DeWit: I have a guess but I’m not gonna say on here. What if its- Go ahead. Jack Butala: So, in general, this may or may not be true, but in general for us, where there’s no back tax issues, no back tax properties in any way, properties don’t go back, there’s no real opportunity for rock bottom price. The business that we’re kind of in, scrapin’ the bottom of the real estate market. Can you buy houses there for a lot less than they’re worth, heck yes. Can you buy land there for a lot less than its worth, yeah but you can’t do it in a scrape the bottom, $100 an acre fashion. What we teach is, feel out the county to see if there’s a bunch of back tax, like Mohave county, Arizona’s got like 48,000 back tax properties. Jack Butala: And we do really well there. Jack Butala: And so do some of our members. That’s why its important. Jill DeWit: It’s an indicator. Jack Butala: It’s an indicator. Well, once again, less than one sentence. Jack Butala: If you listened to the show yesterday- Jill’s behind the bookcase right now. Jack Butala: For historical back tax, which counties have ’em, which counties don’t. Just search for that county name and you’ll see it in there, it’ll indicate it. It’ll help you chose a county about where to mail. Jack Butala: It really is. Jack Butala: You don’t have to be a member, its free. Jill DeWit: Yeah, its free for everybody. Go on there and there’s census maps on there, the population density maps. Jill DeWit: That’s another indicator, gauge, a research that we use when we’re picking a county to send our offers. It’s there for everybody to see. Jack Butala: We’re about to release a website, which is entirely free, you don’t even have to be a member at all, called CountyWise.com and its, literally, go to the website and it’s a map of the United States, click on one of the states, click on one of the counties, and there’s just a ridiculous amount of information that I paid an army of overseas virtual assistants to keep up to date. One of the parts of data there is a whole scenario of back tax situation of that county specifically. Jack Butala: Its amazing actually, that website, how its coming together is truly amazing. Jill DeWit: Mm-hmm (affirmative). It’s gonna be awesome. Thank you, Jack. Jack Butala: This is one of the nice things we get to do for everybody, Jill. Jack Butala: Its costing a fortune, by the way, and we’re not gonna charge for it. Jill DeWit: No. Thank you, Jack. 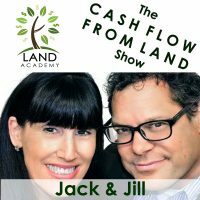 Jack Butala: If you have a question or you wanna be on the show, reach out to either one of us on LandInvestors.com. Today’s topic, Never, ever maximize your land sales price. Well, that’s counterintuitive. Jill DeWit: Yeah, that doesn’t make sense. Why would I not? Jack Butala: Why wouldn’t you want to squeeze every single penny out of that real estate deal you have? Why wouldn’t you? Jack Butala: Let’s say you have $5,000 and you buy a property that’s worth 20, you have two choices, you own the property now and you’re gonna sit there and say, “I own a $20,000 property and my arm is sore from pattin’ myself on the back.” Or would you sell it for 10, really fast? It takes six months to sell it for 20 or one week to sell it for 10, which one would you chose? Jill DeWit: Hmm, let me think. I’ll take take the money and run for 500, please. Jack Butala: Take the money and run, that’s what this should be called. Here’s why, in that six months that it would take to sell that property of 20,000 how many more $5,000 properties can you buy to sell ’em for 10 in that six month period, let’s say you do one a month. Jill DeWit: I’m getting more money here. Jack Butala: Six months I have $320,000. Jack Butala: This is an academic exercise. Can you really do that, we have members who do that, literally. Jack Butala: Who have done that with $5,000. Jack Butala: And we’ve done it. Jill DeWit: I would like to add something to this also. Jack Butala: So, do you $320,000 or $20,000 on the same $5,000 number? Jill DeWit: Bingo. Here’s another advantage to this whole concept, the guy that just bought it from you, you just doubled your money, you put in five, you got 10, you just doubled your money like Jack said. Well, that guy just bought a $20,000 property of $10,000, you better believe that guy’s gonna come back to you for property. Jill DeWit: Again and again and again. Jack Butala: Exactly, where is he logically gonna go after he does sell it for $20,000 and doubles his money? He doesn’t know how to send that mail out, he doesn’t want to. Jill DeWit: Yep, you just have a customer for life. Jack Butala: He’s gonna go straight back to you. Jack Butala: We have a list of people like this that have made it their career to buy property from us at wholesale prices and sell it on terms. Jack Butala: Here’s some of the things I see brand new people- A lot of mistakes that they make. We’ve seen our parents do a real estate deal or our uncles or somebody, friends, and its just failing. They’re trying to sell a house and here’s why, they are not letting the market set the price. They are ramming their concept of what that real estate should be purchased or sold for down everybody’s throats and its not working, they’re spittin’ it back out. Jill DeWit: They’re getting emotional. Jack Butala: The market’s gonna drive the price that your property sells. Jack Butala: If you wanna fight that, you should just go be an attorney instead and fight and yell and argue. Jill DeWit: Or sit for six months and see what happens. Jack Butala: Or sulk. Yeah. Jill DeWit: Or a year. Jack Butala: Sit and sulk and wonder why the property didn’t sell and yell at somebody. Jack Butala: Don’t fight- That’s our natural- We’ve all been taught that. Jack Butala: Well, its time to stop fighting the market. You can’t fight a market. Jack Butala: The market’s gonna do what it’s gonna do. Make sure you get in below it, that’s your job. Jack Butala: Make sure you’re buying a property that there’s no way you can lose on it. Jack Butala: You’re buyin’ it so cheap. Jill DeWit: So, back to your example, too. Someone’s trying to sell it and they only want “X” price, well you know what, maybe they only want “X” price because they paid whatever price. Well ’cause they overpaid right when they went into it so, now they’re trying to get something out of it. They may have screwed up way back when they bought it. Jack Butala: And that’s not your problem. Jack Butala: Boo freakin’ who. Jill DeWit: Hold on a moment. That was not a failure. You’re right, every week we have to remind everybody since when is double your money a failure, never. Jack Butala: You know what Target makes, they just put out there, in general? Target, the retailer, every year. Jill DeWit: This is good to know, what? Jack Butala: They make a three percent, not return investment, three percent of revenue. Jill DeWit: Wow, and is that like a banner number or is five percent a banner year? Do you know? Jack Butala: A fantastic profit margin for an extremely successful, let’s say manufacturing company, is 20%. Jack Butala: We double our money here every day. Jill DeWit: Right. Isn’t that crazy. Jill DeWit: Yeah, I know. Jack Butala: If you look at our return on investment, let’s say you start with $100,000 and you see what you have at the end of the year. It’s staggering how much money this makes. Jill DeWit: Remember that time we did that show? We did a show with one of our members, Michelle, a couple months ago, and it was really great because he said, “You know, I thought I’d sit down before the show and add up the numbers and see how much money I made so far this year.” and he’s like, “I didn’t even know how much I made, its way more than what I thought.” It was really, really funny. Jack Butala: Now that you said his name, I do remember the numbers but never said his name and I can’t tell ya. It was high six digits. Jill DeWit: But it was really good. Jack Butala: So, what ends up happening is, and this is very typical for us and its typical for our top performing members, you pour it back into land. Jack Butala: You have to look at two numbers. You have to look at your cash balance and wholesale value of the real estate that you own free and clear. Jack Butala: And I’ll tell ya, it’s in the seven digits, sometimes in the eight digits. Jack Butala: There’s one member I talk to regularly, he’s a black level number who generates almost seven digits a month. Jack Butala: He makes almost a million dollars a month and he never has any money. Jack Butala: It’s all real estate ’cause he’s churnin’ it so hard. Jill DeWit: Yeah, it’s good. Jack Butala: Historically, real estates not a current asset. The definition of a current asset versus a long term asset is can you liquidate it within a year. Jack Butala: And that’s funny ’cause it use to be, real estate is not a liquid asset, well malarkey. Jack Butala: It’s the 21st century and there’s this thing called the internet and real estate’s a liquid asset. Jill DeWit: Yeah, I mean, how fast do ya wanna sell it? There are ways you can sell it really, really fast, if you want to or need to. Jill DeWit: And still make a profit. Jack Butala: If you’re not borrowing against it you can sell it for anything you want. Jack Butala: As fast as you want. Jack Butala: This is a good show. Jack Butala: It’s because you want too much money for it or the mortgage company’s tellin’ ya you want too much money for it or the right people don’t know that it’s for sale. Jack Butala: You wonder why the property doesn’t sell, come on. 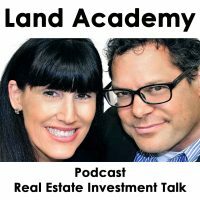 Jack Butala: You gotta celebrate the fact that that property rocks and give all kinds of information and do a video and dance around like a cuke. Jill DeWit: Have a map. Jack Butala: Yeah, a lot of maps. Jill DeWit: All kinds of details. Jill DeWit: Have all the questions answered so people can look it up and know what it is. Jack Butala: And then have a way they can check out, right click on it and buy it on a credit card situation and then you’re gonna wake up in the morning and money’s gonna be in your bank account and you’re gonna laugh. Jill DeWit: Exactly. Thank you. Jill DeWit: We use it every day to buy property for half of what’s worth and sell it immediately. Jack Butala: That’s a Captain Obvious scenario. Jill DeWit: Mm-hmm (affirmative). It’s worth talking about it. Jack Butala: And they were complaining about it.